Do you have a kind of disability that somethings you can’t do? I went for a great hike this morning with a friend; and I got to thinking about something I don’t really think about too much. What if I could walk what if I was normal? I would be a cowgirl a hiker all over the outdoors. I don’t know just something about being outdoors nothing more to fancy but give me my own ranch oh yeah good I would love it. If you know me I don’t think you see me as a country girl, but each time I get to go out away from everything I just love the feeling! But I have a great life in town with a disability. I would not think that I could go on hikes and I can and I love it so much! I am a happy person mostly if you just read my blogs or have seen my facebook you would think I am so busy I have so many friends and people who want to do things with me; I do have amazing friendships and family which I wouldn’t give up for anything I know how lucky I am! But sometimes I do get down in a place where I don’t want to let others know I feeling a depressed and I know it’s ok to get down have sad days. Here is a look in to my days and why I have been feeling a little lonely; it’s hard for me to get out when I want to, and I understand that my friends have busy lifes and it takes more for me to get out; I need to have an caregiver to take me, if my friend can’t come get me. So I look at my aids as my friends and it’s ok, if I had all day care which I don’t, I don’t need to have any day health care but I sometimes want to just hang out for the day with them, but I know I can’t they are here to help me within the hours I have. There are days when I am good being on my own and not going out ; I know I’m not going to my friends everyday but sometimes I want to have a friend call me and say lets get together but it doesn’t happen. It doesn’t normally get to me but lately it has been. I am grateful for everything I have and my friendships, but I do get lonely because I wish I could go out see friends who I don’t see very much I want to do more. Nowadays it seems like we don’t know how to encourage people or be a friend and not expecting anything in return. I like to be a little like that, I can see passed people who are hurting but they don’t think they are good enough. But why? Why do we think that being different in not ok, when we all are different if you ask me; I love it. Knowing that someone might read my words and get one minute of place it is why I want to do mentoring. Finding joy, hope and love in everything! Many of you know my story and that I have cerebral Palsy I have a kind which is not that common. I have been able to do almost everything that the doctors thought I wouldn’t; they thought I just be able to lay basically but I have people who have pushed me to where now I’m pushing myself. To living on my own and starting up my own business with the help of friends. All that to say I know what is to stand out and mostly in high school I didn’t know what I would become; the thing I wanted to do I knew I couldn’t it but then I began to writing and it gave me the opportunity to do something I have always wanted to. Just in a different way; I am saying that being hopefully may be might get you to what you are mean to do with your life. What is the best love? To feel it or give it? I am wondered about this; how could you show somebody just how much you love them? When most of lifes is spent at work, making sure we can get everything we need to be happy but really what is needed most; is the thing we do when everything else is ok. Show somebody what they mean to us. I think that is why so much hurt; yes we need to money. But we need each other more! I love deeply as I want to make others understand that love is so needed. This week coming up my dance team is going to Vegas to try out for America’s got talent! My dance group is made of all different kind of disabilities; the founder is my friend and caregiver also a great dancer! She wanted to find a way that people with disabilities to get movement and became an every week class named Dancing with Friends! We all love dancing; it’s so much fun; now we’re going to do big. America’s got talent, I’m so excited for a week of lot of dancing and fun. I am so excited there is so much that I am excited about; I have been telling you that I am going to start offering to be a mentor; I can now say I am open for business! You should know a few things about how this will work. First I am disabled so it will take me longer to write to you; I have to use another program for writing it’s helps my writing; second my time with you will be $10 , I am a doctor or anything like that. But I know what’s its like to be different, left out because other’s don’t understand disabilities. I have been there many times; it’s not fun having to explain why you are the way you are, when everyone was some sort of difference. I’m about love. This has been my dream ever since I was a child. I may not be expected but I have an open heart and love to make a difference or even just put some sun in your life. If you are on facebook we can chat through there or you can email me at varugeslifelove6@gmail.com. Why can’t we just do what our hearts is telling us to do? It’s a question I ask myself when I listen to what my heart is telling me that I could do; but I don’t think I can! Or I don’t want to do it because people might think weird. When I don’t care how people see me, I should just do it, and see where the journey go on leads me to; but no it is not that easy…. I want to love others so much to where I make them uncomfortable or think I’m crazy; when I should not let others tell how to love. But I don’t really understand how often we say I love you but we don’t really mean it, I do maybe too much but I am good with it. Because there is not enough of real love; it is so needed! My job with Accessible-systems and Living a life of love within yourself are coming together. I love helping others that has been my dream; I am also disabled and know how hard life can be when you are different! I have recently got a job with Accessible-systems; writing articles. I have been thinking about combining the two, they are very important to me. Depression is one topic I’m very interested in, and a few other topics that could come up if you are disabled or even if you have a difference which no one understands. Why is that; when we are all different? Everything that I love doing can be connected . So there will be more to come about disabilities, differences between them and of course how we can all support each other. I have time to do this tonight, before my weekend and up coming days get crazy with a new puppy, things could be a little different for a while. But I’m so excited to have a puppy! I pick him up on Sunday, what a gift for Valentine’s Day! Valentine’s Day is a day to show the people who you hold close just how much they mean to you! If only we could do that everyday and not feel weird about it. I love others a little too much, loving on someone who needs it or you just want them to know to know that they mean so much to you. How do you do it? How much can you love someone without making them feel like you are weird? I ask myself that question all the time, because I just love so much that sometimes I want to do so much for someone to show them how much they mean to me, forgetting that just saying that they are loved can mean so much just by itself. So if you are like me, just remember you can say I love you everyday you can just say that and they will know that they mean a lot to you! Remember having love in your life does not just mean your boyfriend or girlfriend its for everyone thinks you hold close. Have you thought about why you do what you do? Or why did you have that calling? The other day I was telling someone about my blog and I realized the reason why I love helping people, is because when I was in school I loved to go and spending time in the life skills class room. Where the kids in there were just laying there, they couldn’t even sit on their own or even eat without something to help them. They were just there. So I somehow started going there as a volunteer hour and soon realized how much I loved going and seeing those kids, they would always get excited to see me. Then a few years later I helped someone without even realizing that they were not happy with who they were, by just being their friend mad, that person came alive again! I don’t want to do for it the money I do this because I love that feeling of’ helping someone who might look fine but really they are not happy, with who they are! Hey friends! Here is an article from where I ride; they did a small story about me! I thought you would like to read it! eat, walk, talk or make facial movements. Every year 5000+ are diagnosed nationwide. underestimate her abilities. She wants people to take the time to get to know her before assuming anything. was that she would love to ride more. She is grateful for every moment. Step Inc. is a Medicaid approved program. Right Step, Inc Program Director Sheryl Clossen at 303-731-9057 or xsap@aol.com. Discover the healing power of horses!! 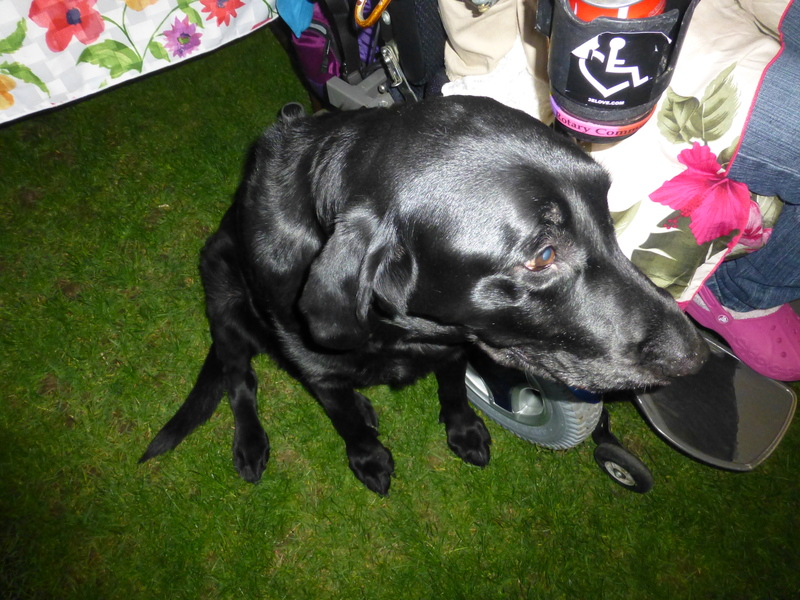 I can’t walk but it doesn’t mean I can’t think or that I have a learning disability. I am physically disabled! Sometimes when I am out with family, friends and or on my own, I will sometimes get a person who will act as if I can’t think or they will talk to me in ”baby talk”, if I am with someone they will talk to them about me! I understand that some people are not comfortable with people who have a disability, but why? When we all have some kind of difference we all have some kind of disability which is what makes us unique. So why is it so weird that I can’t walk and I talk funny, there is nothing wrong with my mind! If you have questions about my disability you can ask me not the person I’m with. I have CP, so what! There is so much more about me than just my disability! I have so much to be thankful for this week, it was my birthday yesterday and my day was amazing. I realize more every year that gifts are not important as love. The love I know I have in my life is truly all that I am wish for. I don’t know how to decide it but it is amazing. I am very lucky! ! This time in my life I feel like whenever I want to say I love you, I feel like there is not enough ways to show that person how much I love them. Its weird right? I feel like there is a better way to show how much I love like there is something else I can do to say I love you but all I need to do is be there. All of my life I have been disabled. I have to do so many things differently, I move disabled I even talk differently. Most of the people in my life have gotten to understand that even if you do things differently I still like to do everything, I’m not afraid to try to do something than we can laugh at myself for thinking I could do it! The people who I hold close see me before my Crazy CP as I like to call my disability. I have always needed to have help, but my family and friends have always been supportive of my CP have never said I couldn’t do something just because I can’t walk. Love has always been there I have been through some hard times but knowing that I am loved is what has helped me become who I am today. I love that I can help others, I think that’s because I have always felt loved. Now I want to have the people who have been there for me, I want to show them even more love. I know how important love is, so I am going to share it! If you have any ideas for me to write about please let me know. If you would rather message me you can, this page is for you. This is a community where everyone can come to feel loved and if you are in a place in life where you are feeling down on yourself, I hope you will find some inspiration to get you through the hard times. Please free to message me,, please share this page with your family and friends. Thank you so much for your support! This is a place for anyone who needs to talk about the hardships and the happiest times. 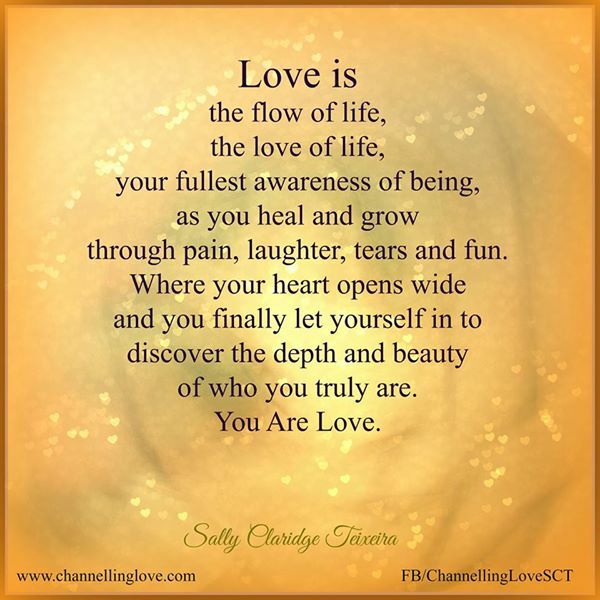 What is love to you? We can talk about it, and what love means . A place where differences are welcome! Love is necessary to live a happy life! I have cerebral palsy which means it is hard for me to do a lot on my own, I have to have help to do anything physical. So it can be hard to get a job or even just do things on my own or without out the computer, I know that sounds crazy but I could not do what I love to do which is helping others. Sometimes needing help all the time can be hard and make you feel very needing, and it doesn’t seem you can do much when you want to be able to have something that you can do without help. When I realized that I could write on the computer it made a big difference in my life. I feel as if I could do so much more on the computer then I could before I knew I could write with it. I know now that I can do something that means so much to me and I can make a difference in people’s lifes with my writing. I am going to do something different! Love is my project it’s going to be what this blog will be about. I have always wanted to find a way to help others, I thought that I wanted to work with people who have depression but now I know that every issue that I hold close to my heart all have one thing in common is that love is needed! I know I have been changing my goal for this blog around so much. But I think I have finally know that everything can be done through love. I would like to have this website be a network for anyone to come here write to me about anything you are having a hard time with, or if you just want to get inspired, or even just feel loved! I will also be writing about my life and the hard things I have to go through, also the great things! I know I have to learn more about depression to be able to help more people. This blog, the facebook and twitter are meant to be used as an outlet for people who just need someone to talk to. I am looking for ideas of what you think I should write about. I want to have a online community to help and inspire people who are going through depression or even if you are just needing someone to support you. There are so many people who feel as if there is no one who loves them, or even people who don’t think that they are worthy to be loved. Because they may look different or act differently, but we are all different. My hope is to have this blog become a network that could help so many people who are feeding alone, I also want to bring more awareness to depression; love is necessary in this world. I love helping others by talking about the many ways depression is hard to overcome and how in letting go you save your life to give the you the life you are intended to live. We all need to feel loved and supported during life’s hardest times! Let’s bring more awareness to depression, together we could help so many people! National Cerebral Palsy Awareness Day. I have a disability called Cerebral palsy, it can affect someone in so many different ways, its different for each person who has it. It affects all my physical movements and my speech, I use wheelchair to get around. But it doesn’t stop me from having a full life! I can do everything I put my mind on I just have to do it differently. For me life is about making the best of what you have and never giving up on your dreams! ”Reaching for the Stars. A Cerebral Palsy Foundation. 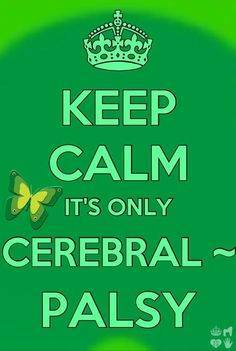 Today is National Cerebral Palsy Awareness Day! It is the first national awareness day for Cerebral Palsy established through Congress via Reaching for the Stars 7 years ago to bring awareness to Cerebral Palsy – the most common motor disability in children impacting more than 800,000 Americans and more than 17,000,0000 people worldwide. In the past 7 years, we have seen National Cerebral Palsy Day grow into a national effort embraced by parent advocates, clinicians, lawmakers, other organizations and people who have CP themselves (both kids and adults). There has been huge progress made to increase awareness of the need for CP research that can lead to Prevention, Treatment and eventually a Cure and Recovery. The increase in research interest in CP is expanding yearly in both the public and private sectors which means that together we are definitely changing the future of Cerebral Palsy – for those who already have it, and for future generations. We couldn’t be prouder to be volunteers who have worked hard for the past 10 years to make a difference. We will continue to work hard to make a difference for everyone impacted by CP. Special thanks again to Senator Johnny Isakson (GA) and Senator Robert Casey (PA) who co-sponsored National Cerebral Palsy Awareness Day 2015 again for us. Why do we have to go through hard times? I know they make us stronger but sometimes I wish it would never come. Life can be so hard that I wish that there are more I could do! When I know that someone very special to me is going through a hard time, my heart just hurts so much , I can’t take it a way! I have to be there for my loved one somehow, love is the key to helping anyone! But when you feel that is not enough what do you do? Just do it more! ! Be there for your loved ones! Do anything you can to let them know that you are there!